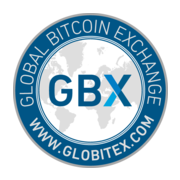 Globitex introduces a digital currency exchange allowing everyone to trade commodities and money market instruments for Bitcoin. The existing institutional grade Bitcoin exchange, with unrivalled API capabilities will scale into a global spot and derivatives trading venue. It will allow producers to purchase exchange listed products for Bitcoin, and trading firms and speculators to hedge their risks in Bitcoin with derivatives trading. This will therefore increase the use cases for Bitcoin as a medium of exchange and ultimately establish Bitcoin as a unit of account suitable for global trade, with no geographic, political or monetary restrictions.